I like my chicken free range…..
Free range chicken (nati koli or gauti) are allowed to roam freely and are not coped up in a cage like factory-style farming. Many free-range chickens are allowed to roam free to eat bugs, seeds, berries and other natural vegetation. The chickens may come home to roost in a coop at night, or they may be essentially wild and roost in trees or any place they feel is safe. They are fed natural food in an natural habitat. 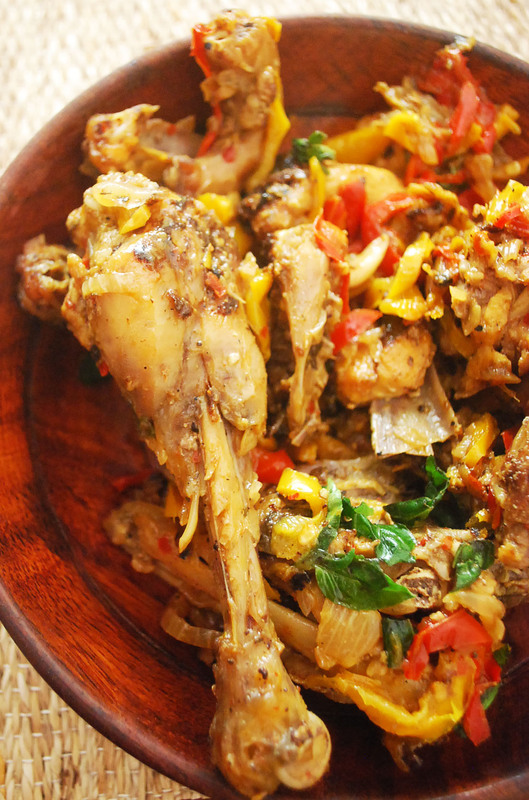 This leads to a much leaner chicken, fat free and free from any injected chemicals. The advantages of free range is that it has less fat, is juicy, thin and has translucent skin, taste and firm flesh but not tough. However, the cost of a free range chicken will be much more than a broiler. 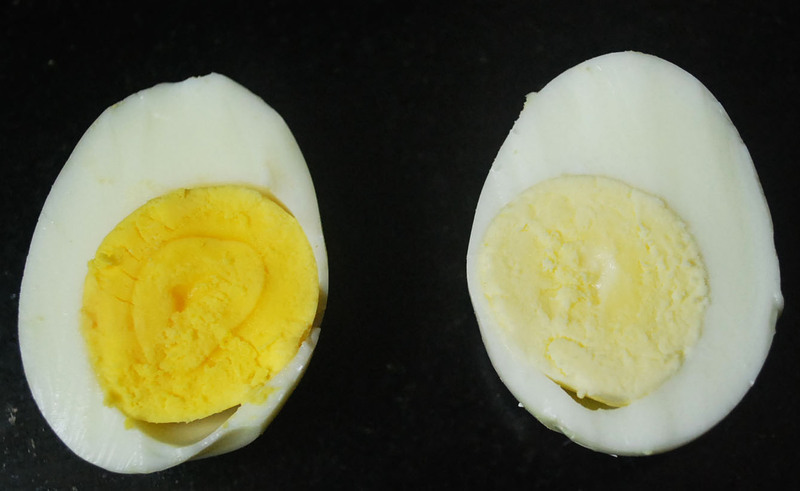 Free range chicken is difficult to find in our Indian supermarkets but the eggs are now available in many stores. You can check with you’re local chicken shop. I did a post/recipe on free range eggs recently and here it is. Organic chickens are not only free to roam but are also fed grains which are organic. They are also certified as organic. They cost much more than the free range or the broiler and I haven’t come across anyone in India producing enough to supply to large scale supermarkets. One serving of organic, free-range chicken provides you with more protein than a serving of conventional chicken. Organic, free-range chicken provides healthier levels of saturated fat and the most beneficial levels of polyunsaturated fat, omega-3 and omega-6 fatty acids. Purchasing organic chicken ensures that you and your family are not ingesting unnecessary antibiotics that may lead to antibiotic-resistant infections. Free range has lean meat and it means that the slower cooking yields better results. It is advisable to cook the chicken at a temperature of 165 degrees. I would suggest to use a meat thermometer to check if you’re free range is under cooked or over cooked. Marinating the chicken (or chicken breasts in particular) with beer for several hours helps to tenderize for grilling or barbecuing. Also remember that a perfect cooked chicken has a lot to do with it’s size, pieces followed by internal temperature until you’re comfortable with the time required to cook the chicken – it is often more than the regular chicken recipes. Personally I prefer free range to broiler because of the taste. A nati koli saaru (chicken curry available in South) won’t be the same when cooked with a broiler. I discovered that free-range, REALLY DO have superior meat – they aren’t just the same product with a different price – they are VERY different meats! I’ve noticed that people who have been brought up on or have been exposed to rural India are aware of the taste and cooking techniques a lot more than the ones who have been only brought up on broilers. Eating free range eggs or chicken is more of a conscience and is left to you to compare notes. I have always visited ITC Grand Central for conferences and never for food. Hence this time when Megha and I were invited to get a taste of the new menu created by Kebabs and Curries, we were set to make a full night, belly up. Surprisingly pleasant weather was due and we came back home satisfactorily full but not choked! ITC opened its first hotel in 1975 called the Chola Sheraton (My Fortune) at Chennai, what they also did at the time; was to order a Speyside Single Malt whiskey cast in oak barrels and brewed specially for ITC called ITC Glenfiddich! A taste of this smoothness can only be had at the ITC hotels and is highly recommended. While you enter ITC Grand Central, do pay attention to the exquisitely carved snippets of Mumbai history which are engraved in the architecture of the hotel. From the clock tower to the fountain and the life size frame and photo album at the entrance, Mumbai has been set into this beautiful hotel. A walk through the corridor to the restaurant reveals a host of awards that the hotel has won from conservation to food. At the end of the corridor, ‘Kebabs and Kurries’ is setup as three divisions of seating called the quila, maidaan and kheema (community dining area). While the divisions are quite clear the comprehension may not be so pronounced. ‘Quila’ has bright lighting and comfortable chairs for a dinner and hence was a natural choice. The restaurant does have a lot of space and can accommodate a ‘daawat’ (meaning: invitation, historically to a wedding or large number of people to dine in). Chef Ishmeet Singh Kapoor takes us through the immense detailing in the menu; which has been broken down into the meaning of each category and makes it easy to choose, rather than go through an endless list of items which may need assistance to decipher, main course from aperitif. He also goes on to show us that the last page contains english translations and origins of each category of cuisine. I found this very useful to both Indians and foreigners who are still not acquainted with the origins of north Indian cuisine. 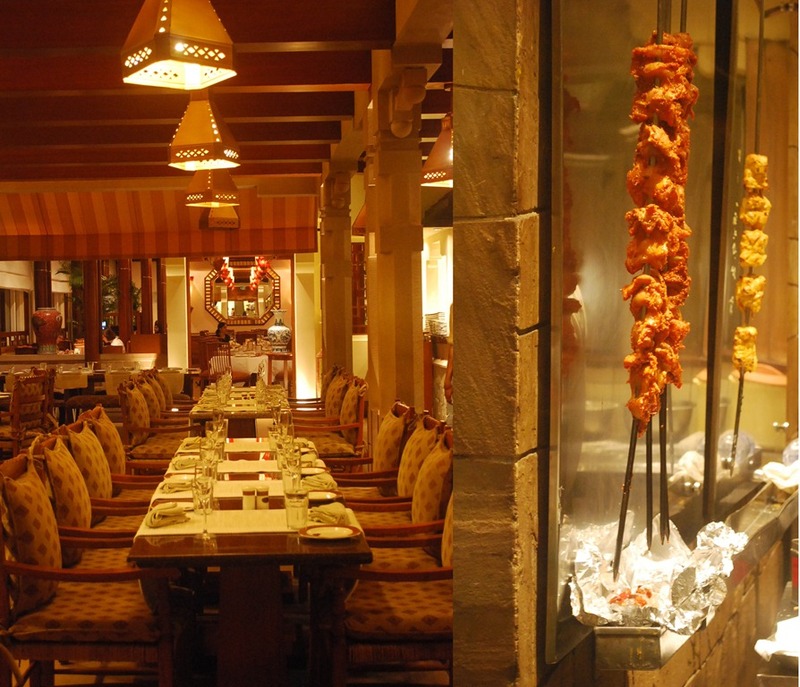 The restaurant offers a variety of dishes from tandoor prepared with an iron tandoor, and pather (stone) grills along with angethis and tawa to Quormas, Qaliyas, Do Piaza and Salan. Off course with Awadhi and Mughlai cuisine naans and biryani complete the meal. 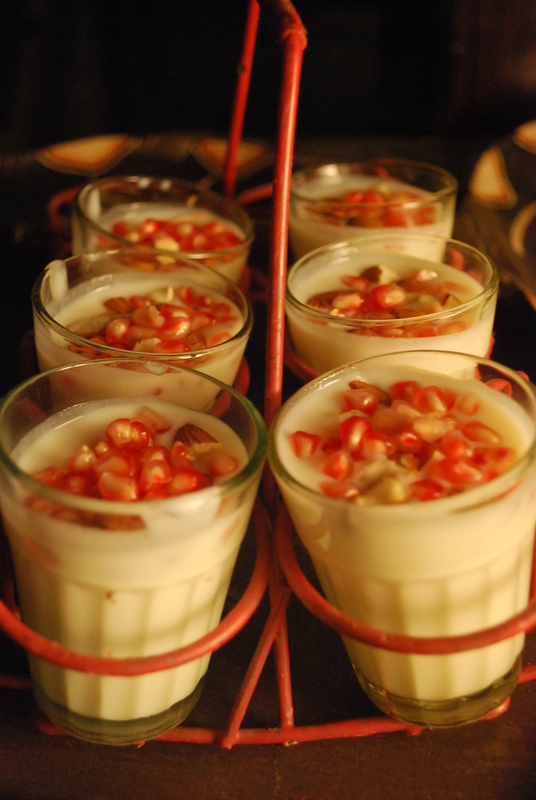 We were initiated with a rose flavoured pomegranate welcome drink, refreshing taste, light and preferably sipped. A platter of kebabs followed. 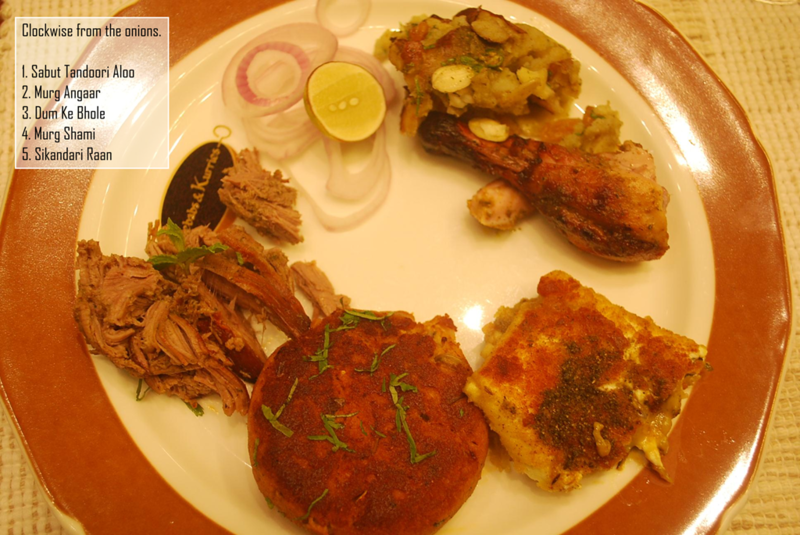 While my main attraction was the Sikandari Raan, I was pleasantly mesmerized with the Murg Shami and Dum Ke Bhole. Murg Shami is a chicken patty that is flavoured with sweet spices and stuffed with tangy raw mango cooked on a tawa. It melts in your mouth with a savoury feel but sweet taste with a crunch. Dum Ke Bhole, particularly important for vegetarians who visit, is a paneer roll stuffed with a blend of carrots, capsicum and cheese but not before dipping it in creamy saffron batter and cooked on a tawa. In short, I preferred the ‘tawa’ dishes to the ‘angethi’. While the Sabut Lobster was quite an eye full, marinated in yogurt, black cumin and carom seeds, the flavours were hard to get while the lobster itself was a tad squeaky. I love seafood and was hoping this was not a perfect representation of the extensive seafood menu with Jumbo Jhinga, rohu and fillets, trust my experience was an aberration. From the top RHS corner on the pic above. The chef’s own recipe that is created by exposing lamb shanks dum cooked in their own cardamom tinged juices and marrow finished with saffron. This has been a succulently pleasurable experience. The bite is tender and flavourful; no, it does not melt but lingers in your mouth and every bite takes you closer to wanting more. Single bone chops tossed into green herbs and whole spices with garden chillies. A dash of lemon to vinegar the meat. I am rather sensitive to mutton and have always been skeptical of ordering mutton due to it being rubbery or less tender. The meat was a let down, but let that not cloud my judgement, the dishes were well cooked and definitely provide justice to the Hyderabad cooking techniques. Diced Kashmiri morels and green peas simmered in asafoetida flavoured golden yogurt gravy enriched with khoya! You cannot go wrong with a dish that uses khoya and yogurt gravy with green peas. Sounds just as good as it tasted. A perfect accompaniment for Warqi Paratha (prepared by flour balls layered into a tower of smaller flour balls and beaten down into a clay oven). A special mention goes to the Dal Bukhara cooked overnight and beautifully crafted into a not to miss dish that butters your palate with the taste of great cuisine brought in by the Mughals from central Asia. 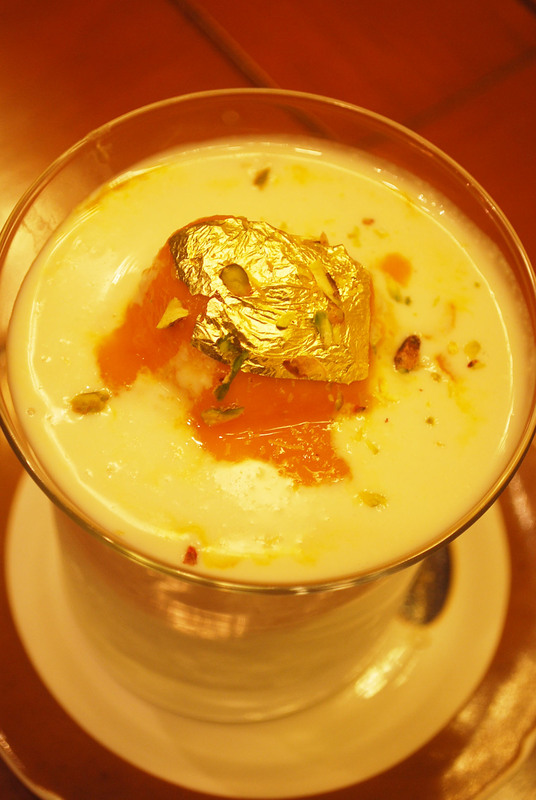 Alphanso mangoes, the king of fruits is pureed and frozen onto a rasgulla that floats in rabdi and crowned with a golden leaf served on a glass filled with crushed ice. Could not resist re-ordering the dessert even after this wholesome meal. This is a must have dessert and ITC Kebabs and Kurries prides itself with this dessert that obviously sells like air-conditioners in summer. Thanks to Arundhati Ghosh for making the evening a pleasant experience with opulence and grace. 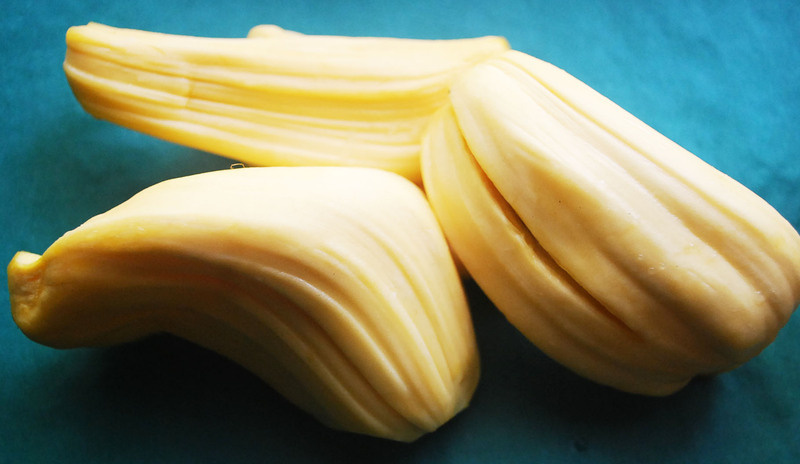 Jackfruit is known as the wonder fruit because of it’s numerous uses and benefits. Jackfruit was once, the staple food of Coorg, when paddy was not sufficient for consumption. Jackfruit trees are commonly seen in Coorg, to provide shade to cardamom or black pepper. The coffee plantations, bordering forest areas face the problem of elephant menace due to their fondness for the fruit. In order to avoid the menace of animals, many farmers started removing immature fruits and throwing them, leading to wastage. Due to this, the department of agriculture in Bangalore has initiated ‘Jackruit Mela’ to bring together all the farmers and build awareness. Coral is based on the concept of a Salon ( “sal-lawn”). A salon is a gathering of people under the roof of an inspiring host, held partly to amuse one another and partly to refine taste and increase their knowledge of the participants through conversation. Coral is set in a bungalow sponsored by Prahlad Kakkar creating an ambiance; by cutting off from traffic and noise of busy Mumbai with flowing conversations over good food and drink. Coral dinners are facilitated by my husband, Pawan and me. I love to cook and Pawan came up with the idea of bringing in food and conversations together and thus Coral was born. It’s been a year since we started Coral and I’ve enjoyed setting up various menus. The idea is to focus on different cuisine, serving a 4 course meal. We want to provide a home cooked meal, native to a region that we may have never visited but possesses a culture that is brought out through its cuisine. 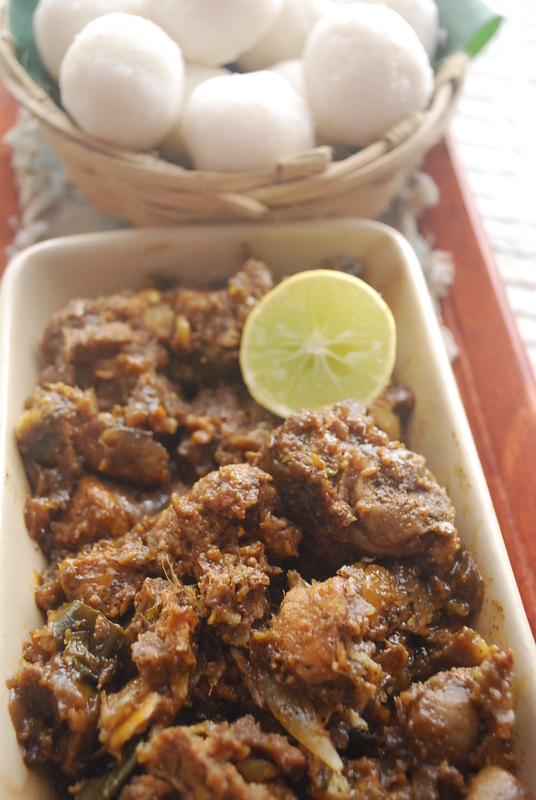 It can be a dish from Pandi curry from Coorg or Muhallebi from Turkey. Coming up with the menu can be a tough task and especially when I have not tasted the cuisine recently. I try to include dishes that you don’t get easily in Mumbai and some that are inspired. 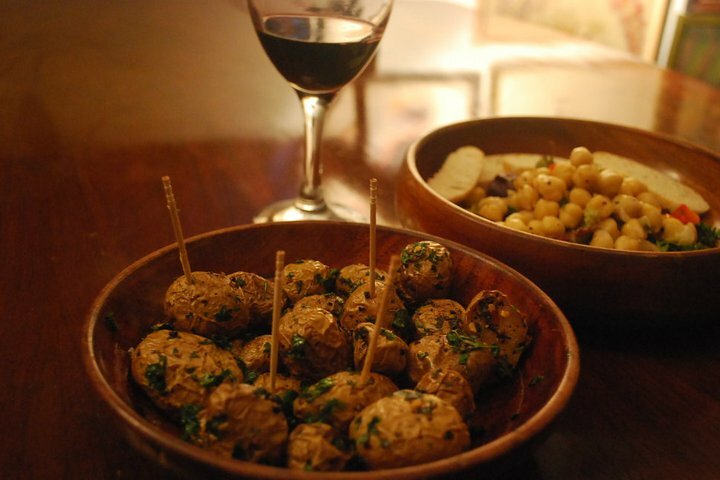 Sometimes non availability of ingredients, requires substitution to bring it as close to it’s authentic taste. Recently we had Indonesian as the theme and it was challenging. 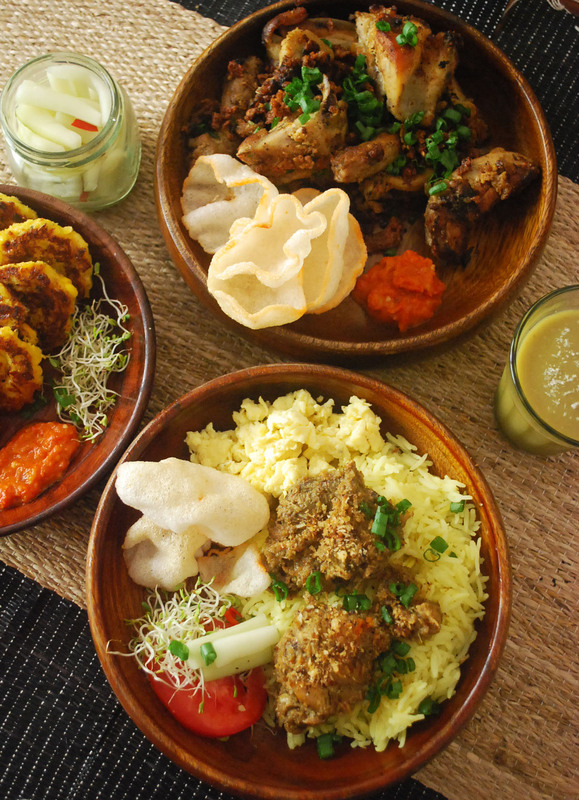 I’ve never tasted an authentic Indonesian meal and the closest would have been a nasi goreng. Indonesian is close to Malay food. 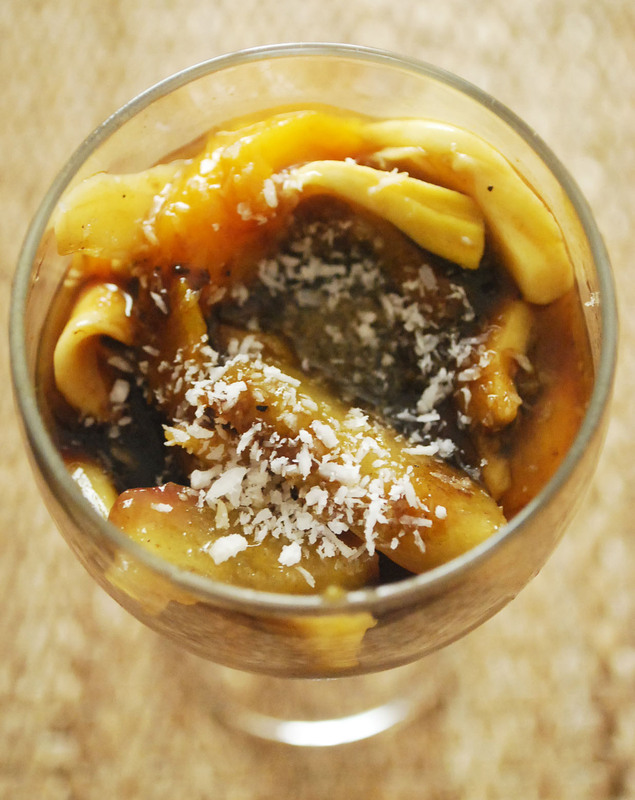 Flavours are very simple – lemon grass, galangal/ginger, coconut, plam or coconut sugar. Blogs have always been my major source of information and inspirations. I’ve always been asked about the menu and how did I manage to get the recipes – the credit goes mostly to blogs. Getting the right information and creating a satisfying palate to go with our guests is a task that I’m trying to perfect. Here is the FB page in case you’re interested in knowing about Coral dinners. 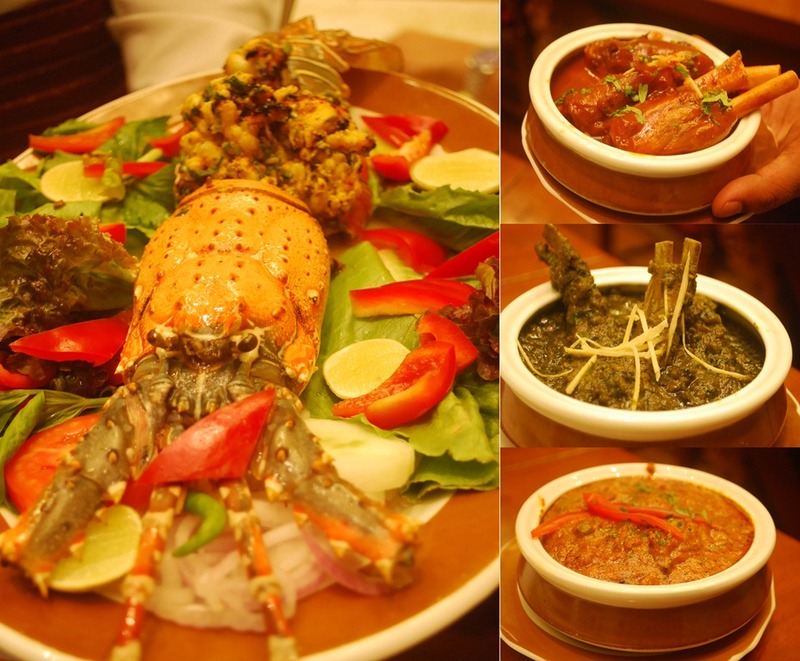 Post by various guests who experienced Coral – Rushina Munshaw Ghildiyal, Eats, Feeds & Digs & Mizohican.